The EU was already preparing a revision of its medical devices directive when the PIP scandal involving faulty breast implants broke out in late 2011. 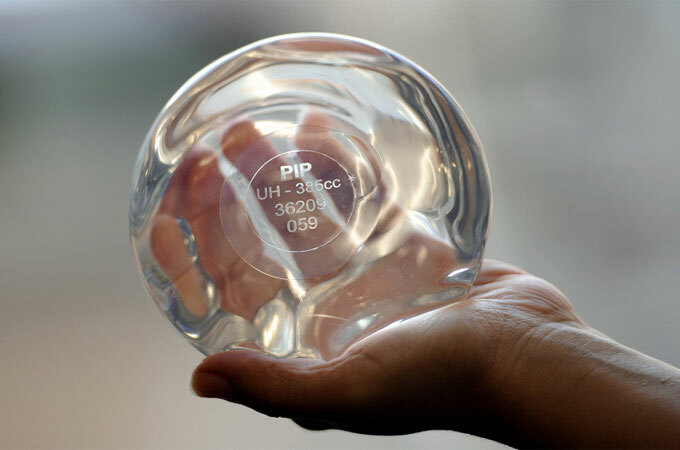 The French firm Poly Implant Prothèses (PIP), once the third biggest global supplier of breast implants, allegedly used cheap, industrial silicone not intended for medical use in its products for 10 years. Many of the breast implants were prone to rupture, causing dangerous leakages of the silicone in women’s bodies. In France, of the 30,000 women who had PIP implants, almost half have had them removed and about 4,000 reported their implants rupturing. The breast implant fraud case has affected 100,000 women in Europe and 400,000 women globally. To avoid a repeat of this, the European Commission proposed to update the existing legislation on medical devices. The term ‘medical device’ covers a wide range of products both used internally and externally by patients and doctors. They can include sticking plasters, contact lenses, pregnancy tests, dental filling materials, X-ray machines, pacemakers, breast implants, hip replacements and HIV blood tests. They are a ranked from Class I, a low-risk category that would include spectacles, to high-risk Class III items such as hip replacements and pacemakers, which are fitted inside the body. Currently, it is not always possible to trace medical devices and in-vitro diagnostic devices back to their supplier. Patients, healthcare professionals and other interested parties do not have access to information on how such products have been assessed, and what clinical evidence there is to show they are safe and effective. In its proposal, the Commission wants to improve the product evaluation process, enhance the traceability of products and place more scrutiny on notified bodies. Notified bodies are mostly private companies that have the role of a public regulatory agency. They receive revenue based on the numbers of costumers they attract. They have to abide by national rules, but they have private incentives to achieve that work. The Commission also wants to harmonise member state authorities’ approach to regulation and improve the exchange and coordination of information, especially in the pre-market phase. However, the German MEP who is responsible for steering the proposed legislation through the European Parliament wants to go a step further. In her draft report, Dagmar Roth-Behrendt, who is from the Socialists & Democrats (S&D) group, has proposed a pre-market approval procedure for high-risk Class III devices. She suggests establishing a Committee for the Authorisation of medical devices within the European Medicines Agency (EMA) to oversee the process, where patients would be represented. The rapporteur said in a statement that the current EU system of approval for devices with the highest potential risk needs a complete change. "In my draft report, I have introduced a new and swift marketing authorisation procedure for devices with the highest potential risk, such as those implanted into the body or dispensing medicines. In my system, this authorisation is not delayed as compared to the current system: it would be given within nine months,” Roth-Behrendt said. “I believe this new procedure is the best way to improve the current system and to balance swift access to innovation with patient safety," she explained. Serge Bernasconi, chief executive of Eucomed, the European medical technology industry association, said the industry agrees with doctors and patient organisations, that changes are needed to improve the management of the current European system and keep pace with new medical technologies. However, the proposal by the Parliament rapporteur is not the right way forward, the industry representative said. “Europe has long been known as a world leader in providing its citizens with timely access to safe technology thanks to the effective decentralised approval system. We need to address the weaknesses of this system to make it even safer for patients without delaying access to safe, life-saving medical devices and without stifling innovation,” Bernasconi said. He added that a case of criminal fraud like the PIP breast implant should never be allowed to happen again, but a centralised pre-marketing authorisation system like the one proposed by Roth-Behrendt would not have prevented PIP. "The suggestion that this system will allow approval within nine months is extremely optimistic. There are three points in the process which allow for potentially severe delays including a ‘clock-stop’ clause which can delay the approval process indefinitely. We need to keep what works and fix what needs to be improved instead of radically changing the system,” the chief executive said. While the European Consumers’ Organisation (BEUC) supports Roth-Behrendt’s call for a centralised pre-market authorisation system, the European Patients’ Forum (EPF) is questioning whether this is needed, though applauding the Parliament rapporteur for introducing more patient involvement earlier in the process. The Parliament’s Environment, Public Health and Food Safety (ENVI) is scheduled to vote on the rapporteur’s draft report in September. The European consumer organisation BEUC has been campaigning for safer methods of approval for medical devices following the PIP scandal. The group compiled a series of video testimonies from patients in several European countries, including one featuring an Italian patient called Daria. 22 Oct.: The Parliament’s Environment, Public Health and Food Safety (ENVI) Committee will vote to accept its final report. Nov. 2013: Parliament vote to accept or reject the report in a plenary session. I sincerely hope this is not a case of the EU paralysing the whole system with red tape which they do like. Remember also that they can bring all the rules out that they like, it still would not have stopped the PIP breast implant scandal. It can’t legislate for dishonesty and the PIP scandal would still happen regardless.